My Blog writing tryst has given me insightful experience which I want to share with you in this post ! Is every Blog writer’s aim is only to rank high in Google Search Engine Pages ? Why I am saying this, is because, those who have constantly achieved this goal have insisted on certain basic requirements for a content. “Content branding is a more customer- centered approach. Rather than striving to gain exposure for your brand, your sole mission is to provide the content your audience wants. What this means is place the Customer Needs in the focus. You would have selected a KEYWORD depending upon your expertise or mastery in a particular subject a Niche . In this niche what particular aspect you want write is Keyword Phrase . Here you start Blog Scripting Journey. It is absolutely important that you read those articles which rank for the Keyword . And find out what problem of browsers are left out. Take those points and write solutions for them.It is not going to keep the attention of your reader if the writing is the run of the mill stuff. Certainly it needs to be something Original . There is another important consideration ; your Keyword and Meta Description affect Search Engine Result Page. Masters of content writing with high ranking posts have been able to convert mediocre sites with little traffic into high ranking ones by applying this format. The narrative in a story format. “How to make your blog unique”is aimed at and helping you with that goal ! So, read on and find useful tips taken out from my own article writing experience. How the hero combats rescues Happy ending. And you the content writer have actionable solution . It is unique and easy. Guide and walkthrough to successful implementation. Thereby content is valuable : the client feels that you can really help him/her. You are a blog writer or aspiring to be one!The reason why you are interested in this Write up; you probably would be curious to know , what I am about to share. “Would it be of any value to me ?” is the thought in your mind. I confirm it would be of immense worth in sharpening your focus, and bring out the best of your writing skills . In the Blog Writing Experience, I share how I have evolved from novice to professional. You would find it useful and informative. Apply this knowledge in practice. Let us consider the above four principles. There are claims of two million blogs posted everyday.How to stand out and attract the attention of browsers? This is the challenge you face. Content quality, usability, relevance to the topic and readability are deciding factors. Normal human tendency is to share something they find very useful, unique and at same time easy to understand and apply. This is the basic principle of links you get. Another requirement is from an authority. Backlinks is how, many web sites of repute and authority, link to your post. So, much effort you have to put in, so that your article appears in search engine result page, reasonably higher. Alright your title appears in SERP. Now what? Browsers are very fast in scanning through.There needs to be promise to solve their nagging problems in a unique way. That means you have to thoroughly research, find solutions and offer them.Only then you can generate sufficient interest in the browser to click your page. The action part is when you have a product to sell! Lead the browser to purchase that.It may a take while for them to decide in your favor.You have to make them see value in your Blogs. That said briefly, how effectively you can implement each of the above steps is up to you. Why I reiterate here the importance of Keyword is there is clear understanding of Keyword. A clear understanding of Keyword conceptually is important or rather inevitable for your success. We can explain by the simple analogy. If you step into a shop looking for some article, say pen; the shop vendor offers a pencil – then there is no transaction. How compatible your offer with that of the customer requirement decides : whether the customer starts the deal with you or not. What Is Latent Semantic Indexing ? How Overall SEO is affected ? Let us investigate these two questions , they are vital SEO. If you go to a shop and ask for writing aids there will be many questions asked . Whether pen- ink pen or ball point pen or a pencil HB or Black any particular brand . Therefore you have to spell out like ” I want Parker cartridge fountain pen preferably Black in color, in the price range of $5 to $ 10 ” You pinpoint clearly . A/B testing or split testing is a method of finding out which of the two versions of your web page fares well. By seeing the analytics report you can confidently establish one of them doing better and stick to it. Inviting comments to the blog is very highly illuminating and you learn a lot from them. Some comments are insightful and throw new light on our blogs. You can share your article in your social media circles.Especially in your groups, Digital Marketing or similar such groups.More than anyone else these people would evince more interest. 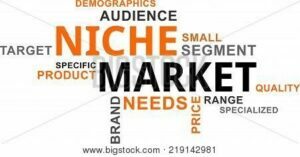 If you plan to write a blog on particular Niche, go to your competitors’ site where similar blogs posts are there. Read them and find out how you can do better than them. Your unique angle to the subject can bring traffic to you.Always remember, Genius is Originality. You are unique and views and so experiences are also are different. There may be many who are much ahead of you. Certainly, getting overwhelmed by them, clearly does not serve any purpose.Therefore, learn from them.But our sight is on those who are less informed and aspiring to progress. Our aim is to share our experience in a helpful manner with them. Summing up I have shared whatever I have mastered, thus far and hope that it is useful to you. Please post comments, and your email . We honor your privacy and would use only for contacting you for sharing useful info.Hope you enjoy reading my blog ! See you next!